The three ships look surprisingly small for an ocean voyage. Even smaller when you consider that 104 passengers were crammed into them for five months. 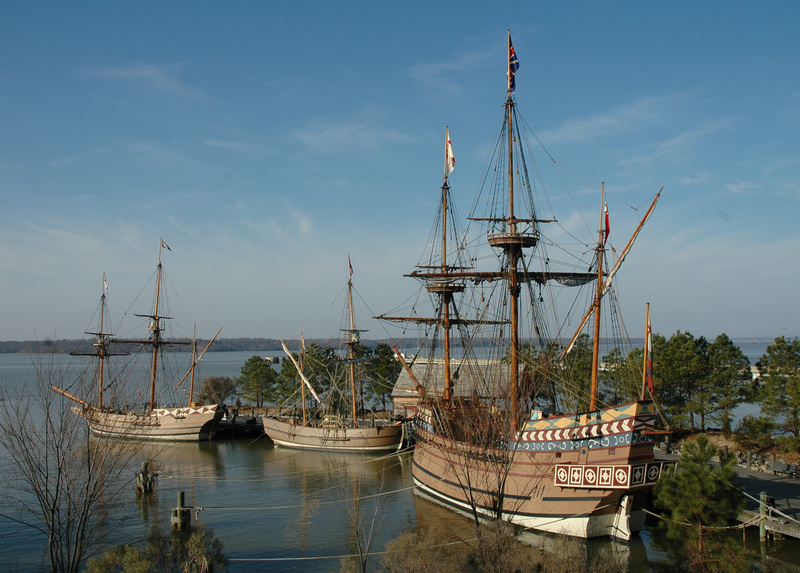 Reproductions of the Susan Constant, Godspeed, and Discovery sit at anchor in a cove of the James River not far from where the original ships landed on a May day in 1607. They came in three sizes to ensure access to the rivers they would need to navigate. And since this was unknown territory, no one knew how wide or deep the rivers would be. The ships had only large rudders, the Dutch would not invent the captain’s wheel for another 110 years. Jamestown, a tiny English foothold named for King James I on a sliver of land in Virginia, laid the foundation of what would eventually become the United States of America. No, the Pilgrims in Plymouth were not here first. Sadly, the people that interpret Jamestown must continue to fight against misconceptions about founding settlements (Plymouth was 1620). 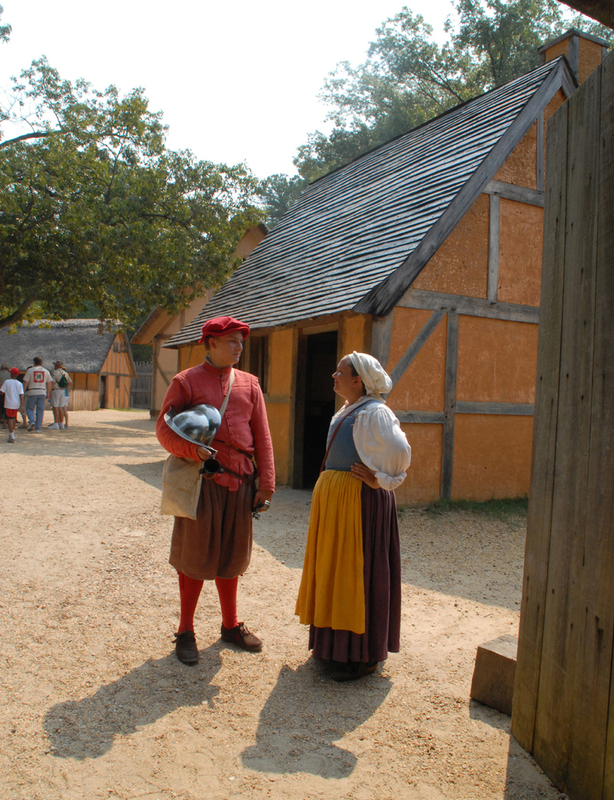 2007 marked the 400th anniversary of the founding of Jamestown, England’s first permanent settlement North America. The occasion was celebrated with a special visit from Her Majesty Queen Elizabeth II and an ambitious archaeological excavation that unearthed the foundations of the original fort at Jamestown, thought to have succumbed to the river’s tides a long time ago. 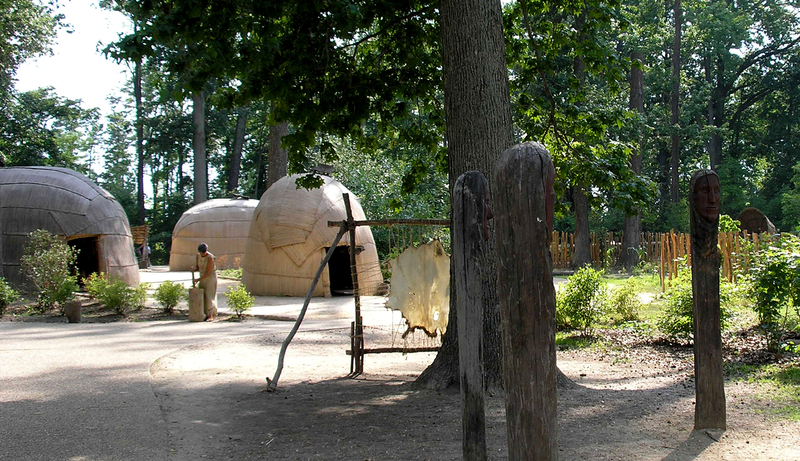 Today three historical organizations claim a piece of the Jamestown story: the National Park Service and Preservation Virginia interpret the actual site where the settlers built a fort and lived in the first years. It includes the fort site and an archaeological museum. 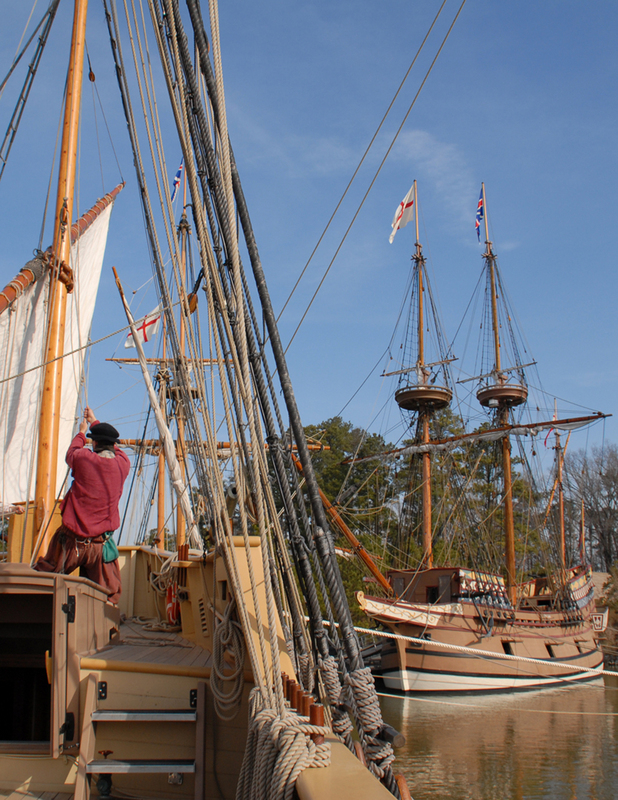 On an adjacent site, the State of Virginia built a reconstructed fort, a reconstructed Powhatan Indian village, and the three ships. 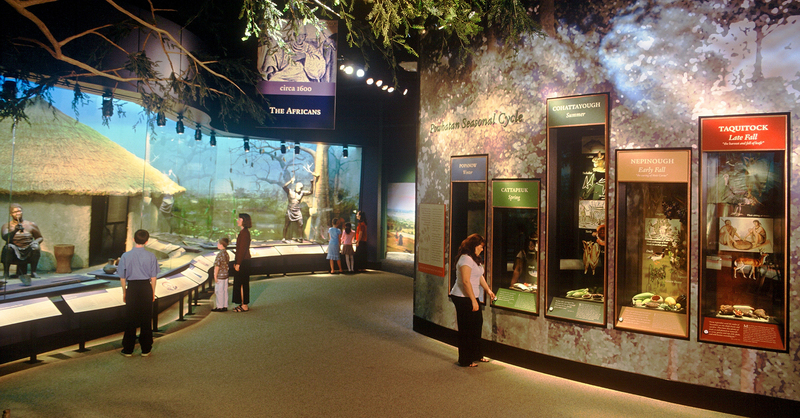 Plus, a newly renovated visitor center featuring a new permanent exhibition that looks at three “parent” cultures that collided at Jamestown. 17th century England forced itself onto Virginia’s Powhatan Indians. By 1619 the first documented African immigrants arrived and the legacy of slavery began to take root. This complex mix of cultures created a rich story that gets lost in the simplistic American creation myths. Yes, Captain John Smith and Powhatan Indian Pocahontas were the heroes and probably did help save the colony, no, they did not look like the Disney cartoon characters, no, they did not have a romantic relationship, and it is doubtful that Pocahontas saved Smith’s life by throwing her body in front of the clubs that were going to beat him to death. That was his story, written years after anyone could dispute it, and written without a knowledge of Powhatan customs. The galleries include new archaeological information discovered in the past fifteen years and more than 500 artifacts. They attempt to tell the latest scholarship, including an exploration of the real Pocahontas. Plus, large full-scale dioramas depict a Powhatan Indian setting, a dwelling in Angola, Africa, and an English street. Jamestown Settlement does an excellent job at interpreting a complex story and raising many questions. Walking through the reconstructed fort or ships helps those visual learners among us to use our senses to imagine life in a new world as an English colonist or life in a Powhatan Indian village on the James River. Interesting facts: English women did not come to Jamestown until 1608, John Smith only lived in Jamestown for a little over two years, Pocahontas died in England in 1617, and the first representative legislative assembly in British America met at Jamestown in 1619. This entry was posted in 17th century, exploration, fort, national park, Native American, pre-America and tagged Jamestown, Pocahontas, VA. Bookmark the permalink.